– On all of ink cartridge of the Epson TX-230 printer, the manufacturer has been installed ink chips. 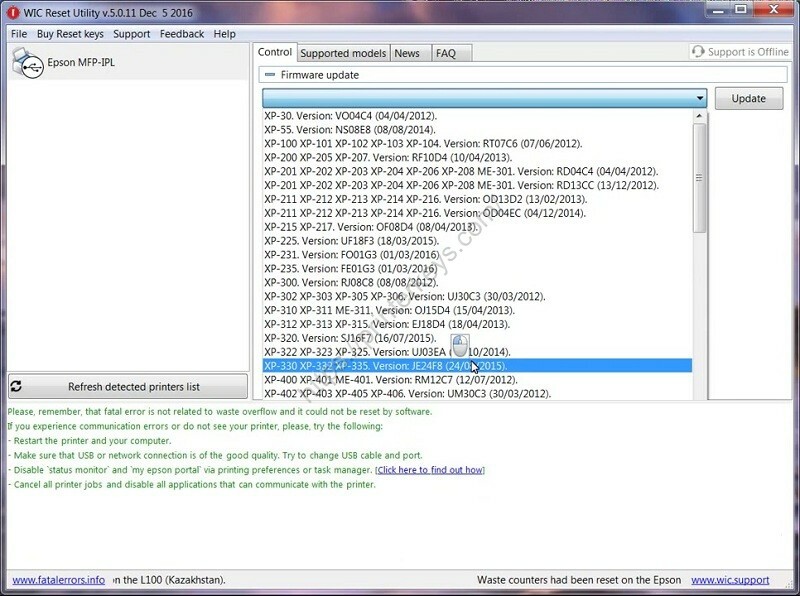 These chips are available through the printer software installed on the computer, which enables users to monitor the printer’s ink usage. 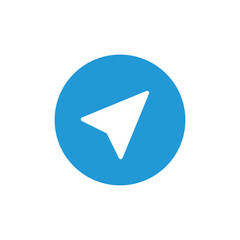 The software will be calculates the remaining ink and informs the user through the “Epson Status Monitor” or on the printer’s LCD screen (if available). 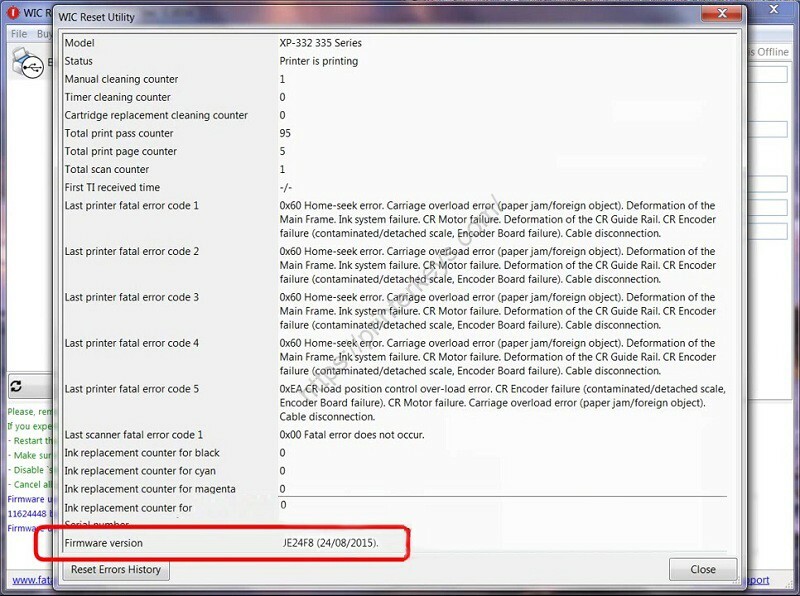 – However, when the ink cartridge is inserted into Epson TX-230 printer, an error message appears: ‘Incompatible Ink Cartridge’ , cause of this error are chips on a continuous ink supply system that is incompatible with Epson TX-230 printer, exactly has not compatible with the printer’s current firmware. 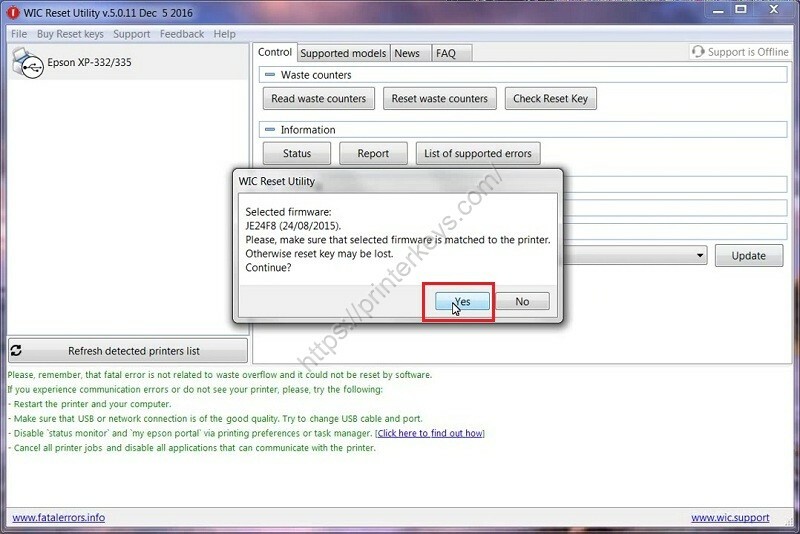 At this time, you must to ‘Change Firmware version’ with Downgrade Firmware version Epson TX-230 printer to fix ‘Incompatible Ink Cartridge’ error. 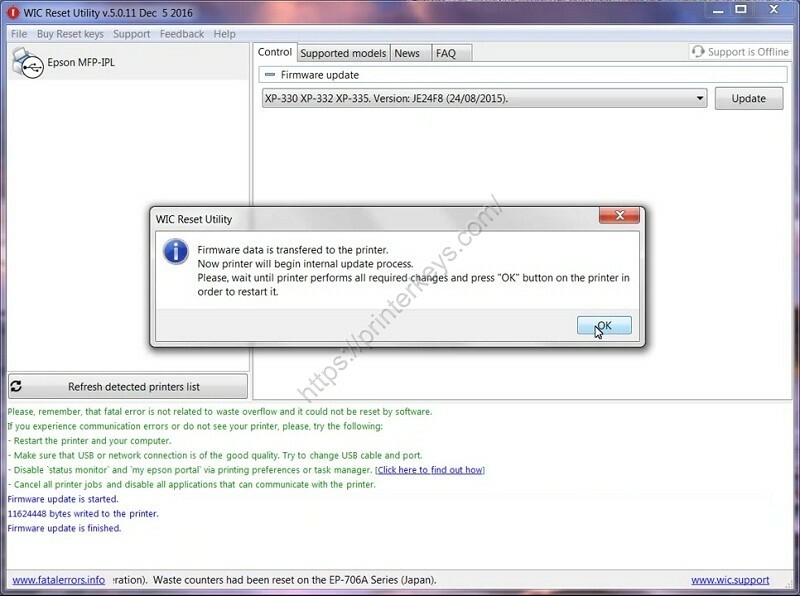 – To perform downgrade firmware Epson TX-230 printer in Regular Mode, you need to note that the printer must recognized all of the ink cartridges and the ink cartridges installed into Epson TX-230 printer must be original ink cartridge. 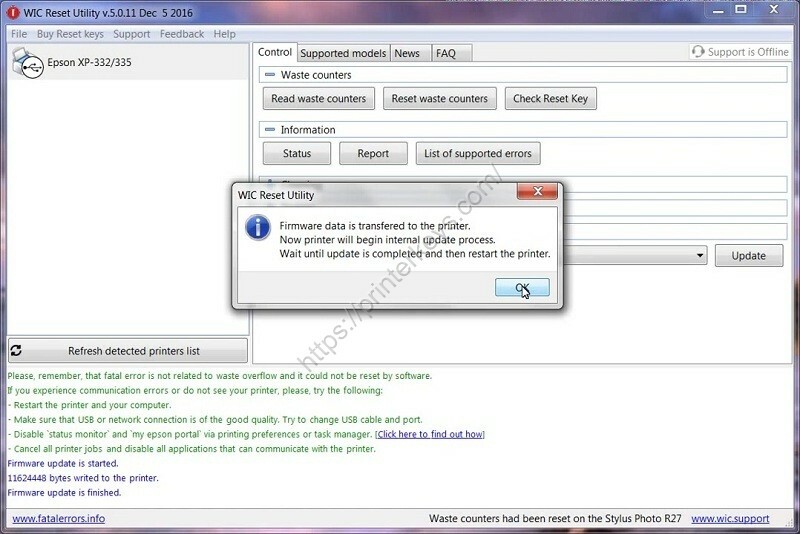 This means that you can not use continuous ink supply system (CISS) or non-original ink cartridge to perform Downgrade Firmware because the printer can not recognize them. 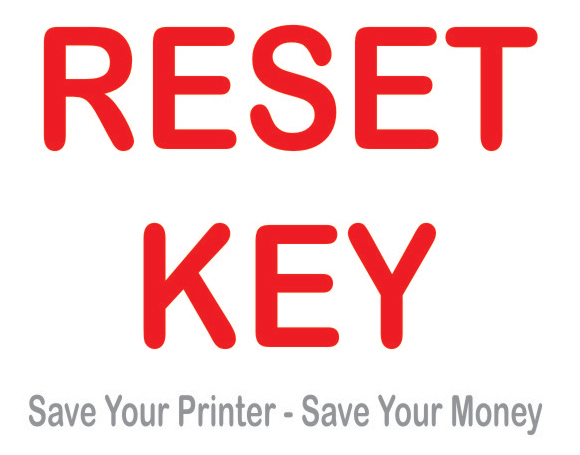 – So, all you need to do is install all of the original ink cartridges that come with your printer into the printer (make sure these cartridges are not finished and still in good working order). After Epson TX-230 printer recognized the ink cartridges. 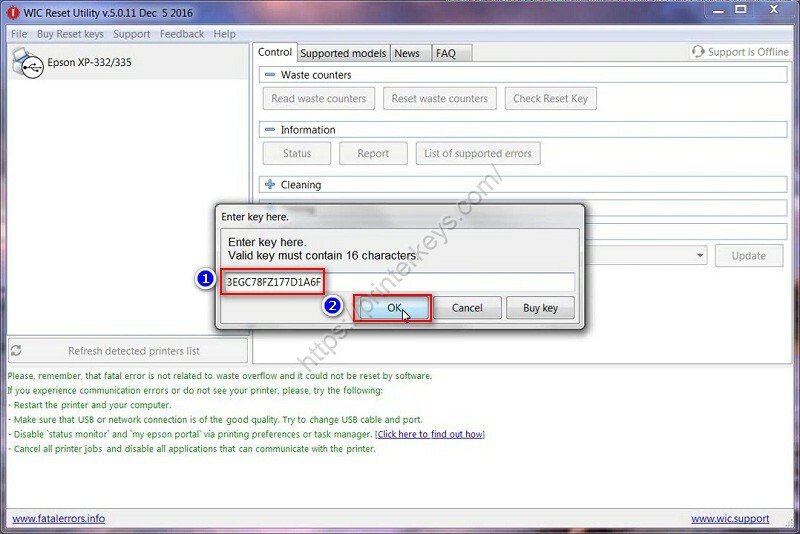 Perform downgrade firmware Epson TX-230 printer and then you will be able to use continuous ink supply system to printing. 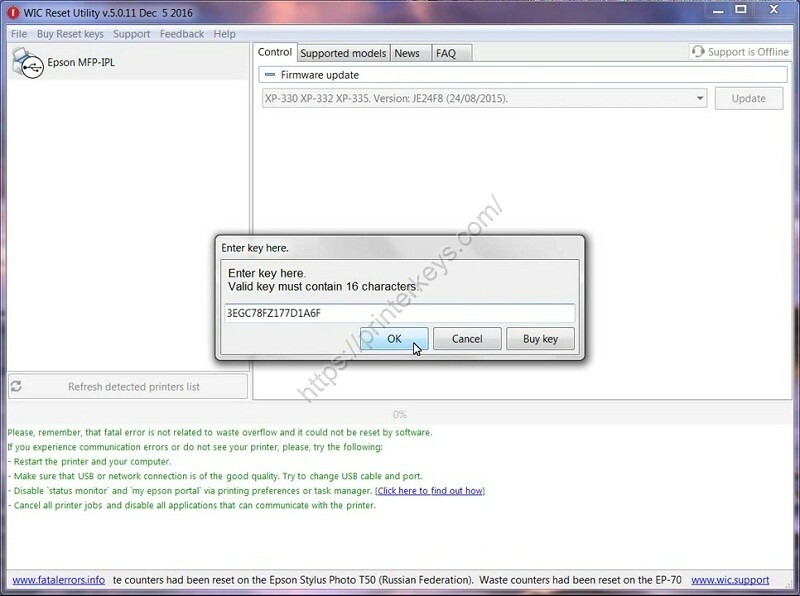 – The following are steps the downgrade firmware for Epson TX-230 printer by key. 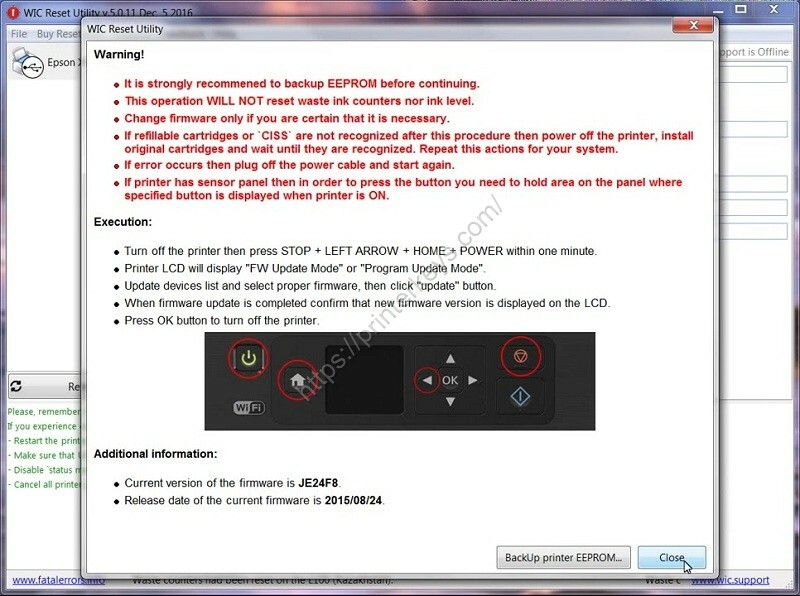 Step 4: Click “Firmware Update” to Downgrade Firmware version for Epson TX-230 printer. 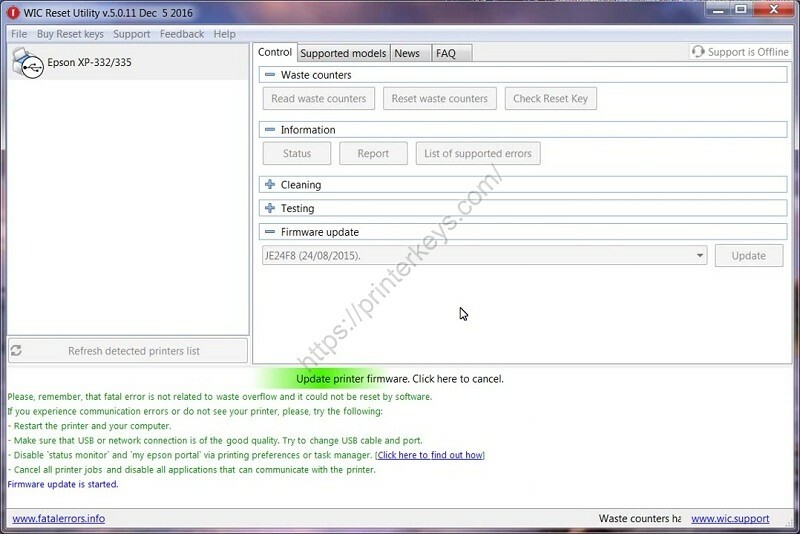 Step 9: You has Downgrade Firmware version Epson TX-230 printer in Regular Mode by Key reset “Incompatible Ink Cartridge” error for Epson TX-230 printer successfull. Click “OK” to complete. 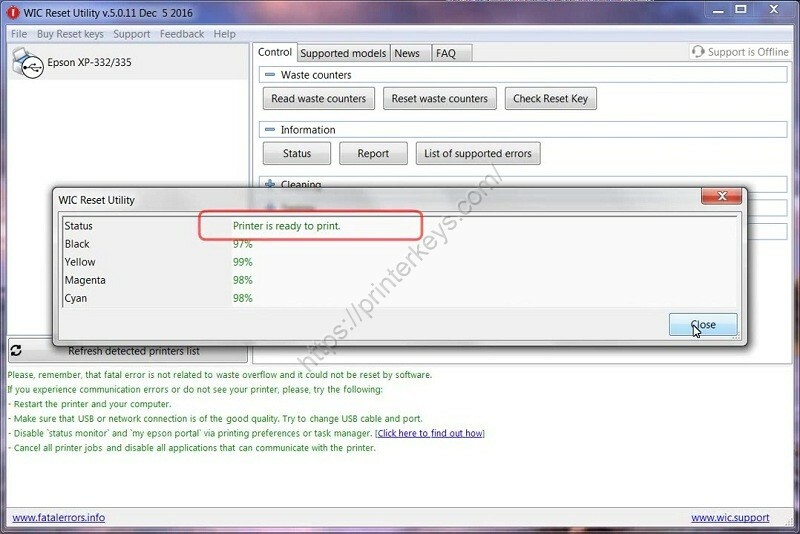 Step 2: Make to the following steps to login “Service Mode” of Epson TX-230 printer (Firmware Update Mode). 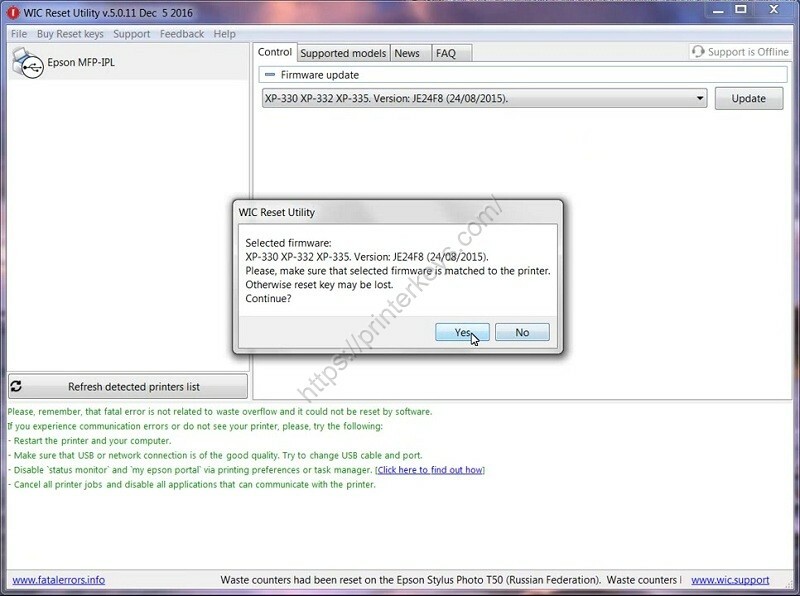 After login to “Service Mode” the name Epson TX-230 will be display Epson MFP-IPL, please pay attention on it. 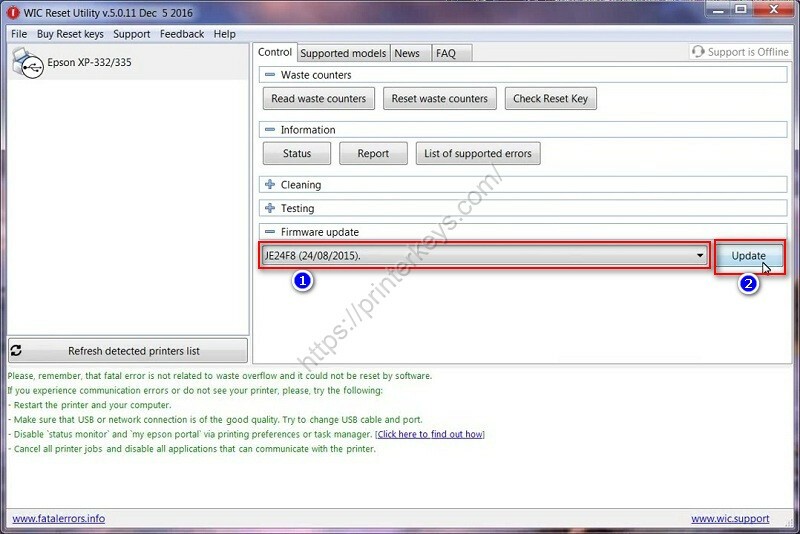 Step 7: You has Downgrade Firmware version Epson TX-230 printer in Service Mode by key reset “Incompatible Ink Cartridge” error for Epson TX-230 printer successfull. Click “OK” to complete.